Modern flashlights come in a variety of styles and shapes, and they often include so many more features than just on/off — each with specific applications in mind. If you’re not a seasoned lighting expert, these choices may seem daunting, but the good news is we’ve taken all the guesswork out of it for you. Keep reading for our detailed guide on picking the right lighting tool for the job. This is the flashlight you’re most likely familiar with. The more budget-friendly options feature a simplified user interface and won’t have as many of the bells and whistles as more expensive models, however, the easy controls and minimal modes make these a great choice for flashlights you can share with children. When it comes to the top end of basic handheld flashlights, most include special modes for signaling and offer different accessibility options which are great for customizing the flashlight to your desires. 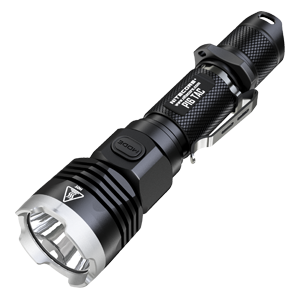 Tactical flashlights are designed for self-defense, emergency and survival situations. 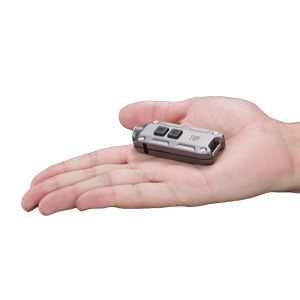 The body is compact enough to be held in one hand and will include a tail switch for one-handed use while in an overhand grip. Not only will a tactical flashlight produce a bright, focused beam, but it will typically include special modes such as Strobe, SOS and Emergency Beacon for disorienting attackers and emergency signaling. 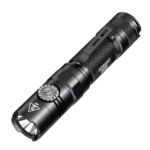 These flashlights often feature a crenulated or aggressive strike bezel which can be used to break glass or a last-ditch measure for defense. A well-built tactical flashlight will also include enhanced internal shock resistance to withstand strong impact and recoil when mounted on a weapon. 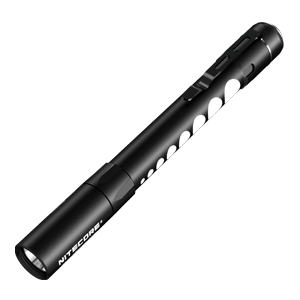 Slim and designed to be carried in your pocket, pen lights or stylus flashlights are exactly as their name describes. 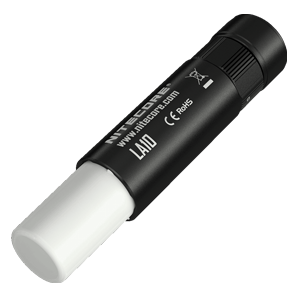 Usually powered by AA or AAA batteries, pen lights emit a low lumen output (most max out around 300 lumens) that’s plenty useful for up close tasks and reading without being overpowering. Some pen lights are also expressly designed for pupil examination and are safe for the human eye. The idea is to always be prepared, and keychain or everyday carry (edc) flashlights are built with this principle in mind. Small and lightweight, everyday carry flashlights can be comfortably carried in your pocket and/or keychain. Much like pen lights, edc flashlights emit a moderate amount of light with minimal modes to keep things simple. A final consideration when looking at everyday carry flashlights is the battery. If you’ll be using the flashlight frequently — and you will — it’s important that you can easily replace or ideally recharge the battery. Many EDC style lights either include integrated charging or use easily sourced non-rechargeable batteries. It’s all about getting the maximum brightness and distance from these flashlights. Brightness is controlled by mostly by the battery and LED while throw distance is largely determined by the shape and size of the reflector. When combined, the result is a powerful flashlight capable of illuminating over long distances — over 1000 yards on some of the top models. 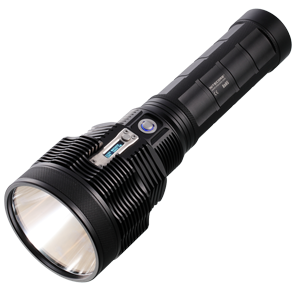 Size is often a secondary concern for these types of flashlights, although new innovations continue to push the brightness/throw distance possibilities brighter and farther in smaller packages. Many of these flashlights fall into the category of lights known as “soda can flashlights,” referred to as such because of the battery base which is roughly the same size as a pop can. Aiming for supreme comfort, these headlamps are usually constructed from lightweight materials such as plastic and have the smallest bodies available. Many feature shallow reflectors and are designed to create a wide beam that can illuminate large areas directly in front of the wearer. Output usually caps out around 400-500 lumens, and more advanced mini headlamps will include secondary features such as red light and special blinking modes. 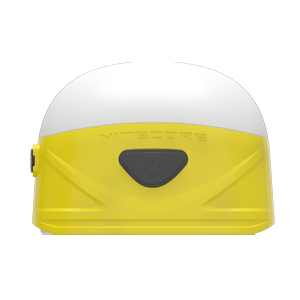 Compact headlamps frequently use an internal battery to keep weight down and uses an integrated micro-USB charging port for convenient powering. Full-size headlamps, as the name implies, are the big brother to the compact headlamps mentioned above. 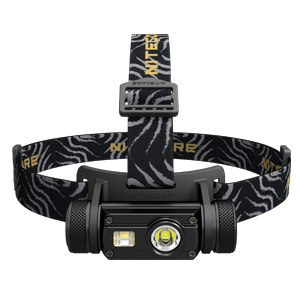 These headlamps have much brighter outputs, reaching into the 1000 lumen mark and beyond. Most full-size headlamps have a removable battery and as a result offer run times much longer than compact headlamps. 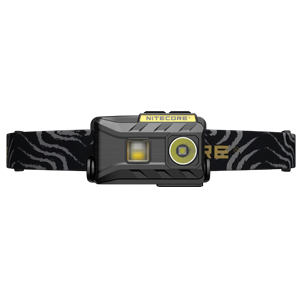 To offset the added weight, some of the more powerful full-size headlamps running on 2x 18650 batteries shift the weight to a pack which can be clipped to your belt. L-shape headlamps are popular for the balance they strike between performance and size as well as their double-duty functionality. 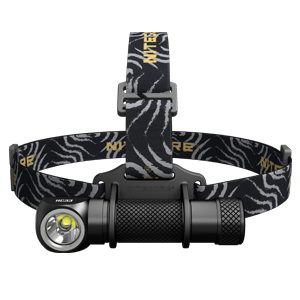 These headlamps are usually capable of reaching the higher outputs of a full size headlamp but maintains a slim profile that can be worn comfortably for hours on end. By shifting the LED bezel from the end of the body tube to the side, these headlamps can also quickly be converted from a headlamp to a handheld torch to give you a truly multi-functional tool. These mini lanterns are recognizable by the plastic dome diffuser they use to produce soft, 360° lighting. Usually no bigger than palm-size, dome lanterns frequently use a built-in internal battery and micro-USB charging port for weight and convenience. The better dome lanterns on the market will also integrate some type of hanging loop and/or magnetic base for hands-free positioning. Unique to the NITECORE lantern series, lipstick lanterns have a retractable diffuser which “twists” for storage during travel. By hiding the diffuser, these lanterns are ultra compact and ideal for travel.